The king of Disney Castle, also known as King Mickey, His Majesty, or The King. He mysteriously left his kingdom and his subjects when he noticed that the stars were dying out one by one. Knowing this ominous occurrence warned of a great impending danger, he set off to determine the nature of this threat. He left a letter, addressed to Donald, to explain his abrupt disappearance. In it he instructed Donald and Goofy to find someone with the "key" to their survival and to stay with him. They must find the key or they will be doomed. He told them to find a man named Leon in Traverse Town who will point them into the right direction. He ended by asking Donald to apologize to his wife, Queen Minnie, on his behalf. Along the way Sora, Donald, and Goofy discover that the King also asked the assistance of several other people to help them, like Aerith, Merlin, and Fairy Godmother. The villains were also aware of the King's involvement and how he posed a threat to their plans. The King made his first actual appearance near the end of the game when Sora, Donald, Goofy, and Riku were attempting to close the door to Kingdom Hearts to prevent the Heartless from invading the Realm of Light. Just as they were about to give up and a group of enormous Heartless appear, the King defeats the Heartless without any effort using the Kingdom Key of the Dark Realm. Before the door closes, he reassures Sora that there will always be a door to the light and gives his thanks to Donald and Goofy. Once the door is closed, Sora and King Mickey use their Keyblades to seal it on both sides. The King and Riku were left in the Realm of Darkness. However, this was only the beginning of another adventure. A tiny king hailing from Disney Castle, King Mickey is one of the Keyblade's Chosen Ones. He helped Sora and Riku in the past by staying in the Realm of Darkness and locked the Door to Darkness from inside. Despite staying on the same side of the door as Riku, the two were separated and Mickey needed time before he managed to reach Riku, who was at the time in Castle Oblivion, struggling against his inner Darkness. Using the strong bond between the two, Mickey called out to Riku's Heart even from afar and helped him hold the Darkness at bay. He has a request to make so long as he's away - that Riku'll never stop believing in the Light. That is a request from the King's own Heart. The King eventually manages to reach Riku in person. He found a card that helped him see Riku's Heart, and that is how he managed to find him. The time comes for Riku to face Ansem, but Mickey won't hear of the boy's request. Should he fail, Riku wants the King to kill him, but Mickey believes in Riku and so agrees to save him should it really come to it. He does exactly that, and reassures Riku that thanks to him, his views of Darkness have changed. What Mickey once saw as something that shouldn't have existed, now exists back to back with the Light inside Riku. He knows not where Riku's road will lead him, but he'd like to see it for himself. He's intent on staying by Riku's side as they both walk down that road together, towards the Dawn. 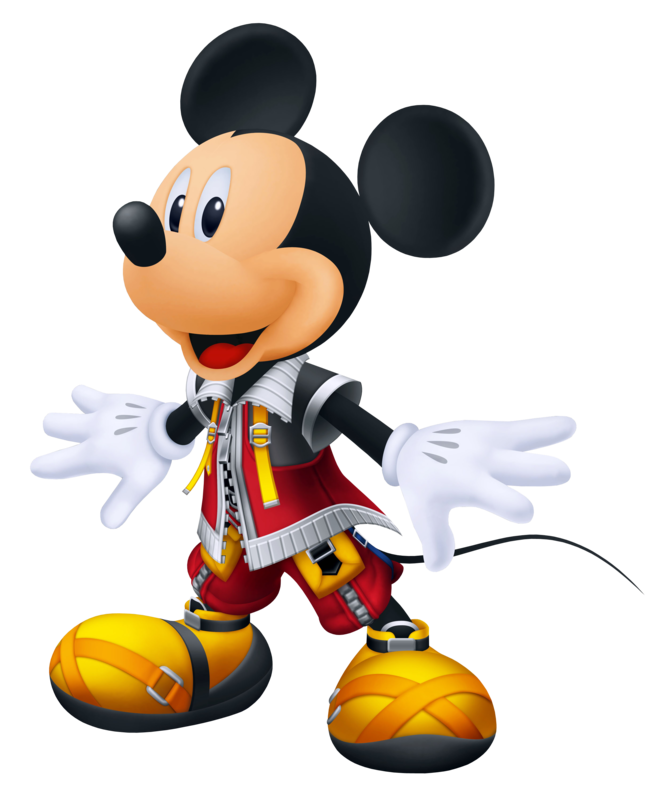 A Keyblade Wielder, a generous king, and an overall brave mouse, King Mickey is known far and wide for his glorious deeds as well as misdoings. Originally a deck-hand under Captain Pete on the steamboat Willie, Mickey was the leading figure in the construction of Disney Castle and later on became its King. When the great Darkness threatened the universe, he sent his Court Magician Donald Duck and Goofy, the captain of the guards, to find Sora, the Keyblade Bearer of the Realm of Light. He himself set out on a journey to find the Keyblade in the Realm of Darkness, and together with Sora and his best friend Riku, locked the Door to Darkness from both sides. That left Mickey and Riku in the Realm of Darkness, yet the two managed to escape, only to part ways not too long afterward. 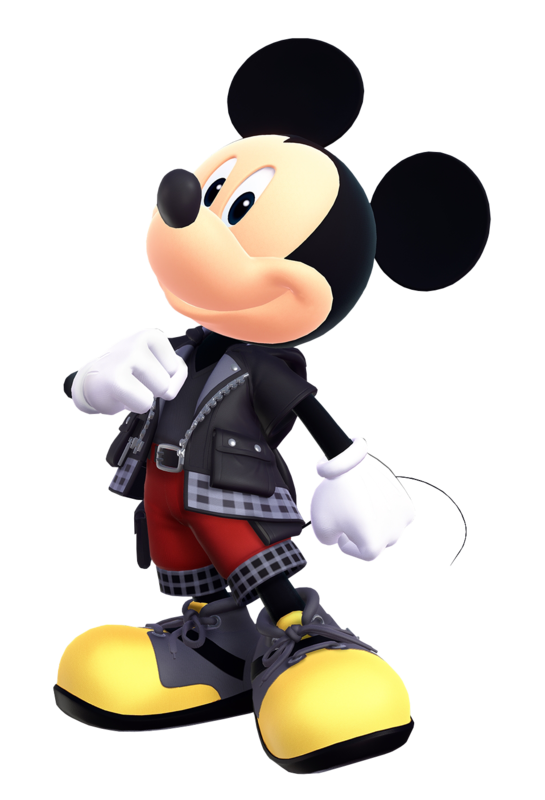 Despite being on his lonesome, Mickey is as ever diligent as he travels in order to thwart the evil plans of Organization XIII, an Organization made out of Nobodies that seek to use the Keyblade for their own twisted agenda. More often than not he crosses paths with Sora, Donald and Goofy, yet remains out of their sight, intent instead of looking after them from the shadows in order to not get them in any more danger than their journey already does. There are times in which Mickey reveals himself to the party, however, and the first is shortly after they wake from their yearlong slumber in Twilight Town. As the three are still uneasy on their feet, the Nobodies they encounter for the first time prove to be too much for them. Being experienced in fending off such foes, Mickey saves the group and tells them to board the magical train that'll bring them to his Master, Yen Sid. Confident this is enough of a lead, Mickey leave the trio again yet keeps a vigilant watch over them. The second time Mickey comes face to face with Sora is in Hollow Bastion. With the town being under attack, Mickey aids the battle efforts and lends Sora a hand when the boy tries to gain access to Ansem's computer. As the password to the computer relates to the Door to Darkness, simple-minded Mickey links it back to the seven Princesses. He then goes on to explain the truth behind the name of Ansem, being that the one Sora, Donald and Goofy defeated before was a fake, and that Mickey is searching for the real Ansem. There is something Mickey cannot tell Sora about, however, and that is what befell Riku. With the battles still raging, however, there is little time for talk, and the group engages the enemy in battle. They eventually come face to face with the leader of Organization XIII, Xemnas, and the man makes Sora doubt the King due to his silence in regards to Riku. He makes his escape then, but not before the King manages to follow, disappearing along with him in the Darkness. He appears again in Twilight Town a good while afterward, having discovered where Ansem the Wise is. Sora, Donald and Goofy are there too on their search for Kairi, and they team up for the joint search. This leads them to the Organization's hideout where Mickey parts from the trio once again to find DiZ, the mysterious man who worked with Naminé and Riku in order to wake Sora up. He is in fact Ansem the Wise who was cast into the Darkness by Xehanort, his once-apprentice and the fake Ansem. Mickey learns Ansem's side of the story, and is by his side up to the point the man attempts to destroy the Organization's artificially made Kingdom Hearts. He re-joins the party after Ansem's device explodes, and takes the man with him. 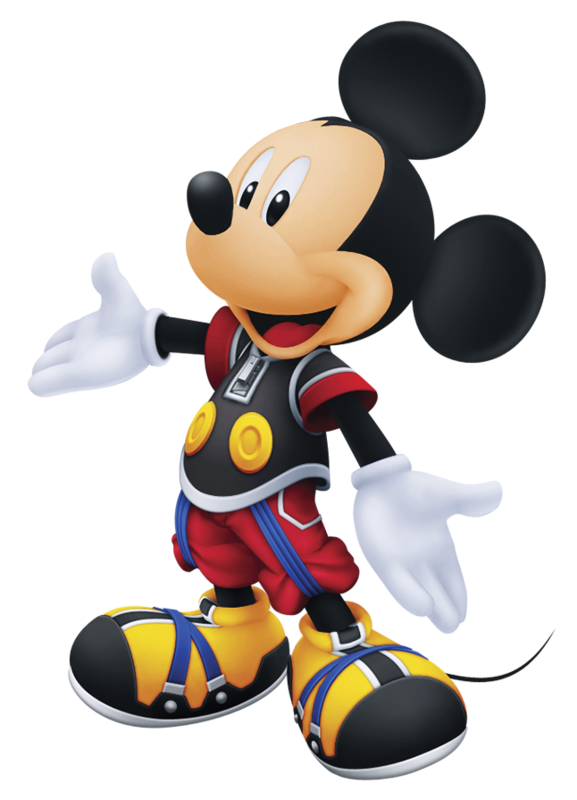 Alongside Riku and Sora, the other Wielders of the Keyblade, Mickey fights Xemnas and eventually arrives at the Destiny Islands, where the group is finally properly reunited. With the situation under control, it seems like he can finally return home, letting Sora and Riku return to their lives, while he returns to his in Disney Castle. The king of Disney Castle and a chosen wielder of the Keyblade. Mickey set out of his castle in search of the Keyblade to the Dark Realm, and helped Sora and Riku ward off the great Darkness that threatened to devour the universe. He was sealed inside that realm with Riku after a great battle, only to emerge several days later in Castle Oblivion. Lurking about were members of the Organization, plotting to use the Castle in order to turn Sora into their pawn. Riku and the King fighting side by side brought about the fall of several members of the Organization, yet in the most crucial moment, Mickey was helpless as Riku had to battle his own inner Darkness. The two left Castle Oblivion yet Mickey was soon enough left on his lonesome as Riku chose to battle his Darkness alone. Intent on not giving up, the King searches for Riku while battling the Darkness that threatens the peace. They finally meet again several months later and Mickey is shocked to see that in order to control the Darkness, Riku has taken on the shape of the Seeker of Darkness Ansem, one of their greatest enemies that still remained inside Riku's Heart. All of the King's offers to help are rejected, yet he is to make one promise in their stead. Should anything happen to Riku, he is to look after Sora, Donald and Goofy, who have fallen into a deep sleep after the events of Castle Oblivion. Left with little choice, Mickey accepts this duty for his friends' sake. Small and agile, Mickey can pose quite a threat even to large groups of enemies and bodes well even in one on one combat. His magical powers are nothing to take for granted either, being one of his best assets and strengths. 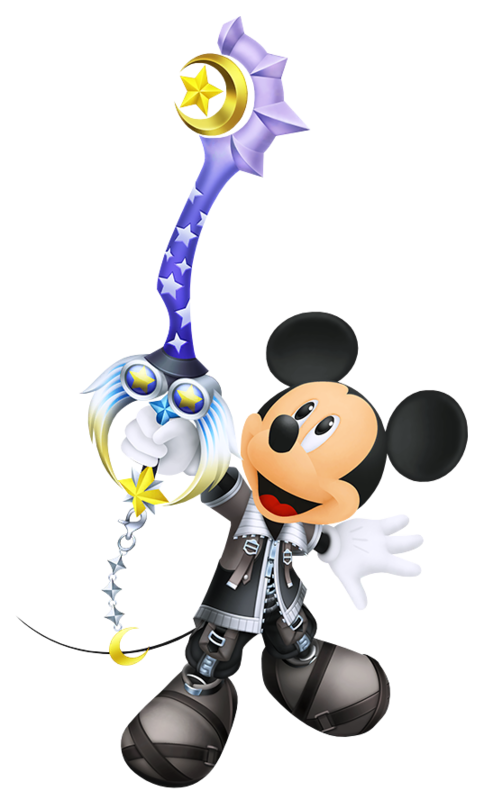 When in Limit Break, Mickey utilizes Holy, an ability which lets him form a lone pillar of light with the swing of his Keyblade to strike at a foe. The attack's range is initially limited, yet grows the more desperate Mickey's situation grows. As Terra, Aqua and Ventus commence their search for the missing Master Xehanort and the mysterious boy Vanitas, his highness undergoes his own Mark of Mastery Exam. Using the Star Seeker Keyblade, and aided by Donald and Goofy, Mickey's trial is overseen by the former Keyblade Master Yen Sid. Before too long a time has passed, Mickey flees the Mysterious Tower without Yen Sid's permission, using a 'borrowed' Star Shard to leave the world altogether, Terra arriving just in time to witness the King's departure. Because Mickey does not have full knowledge of how to use the artifact, it functions randomly, sending him to the Keyblade Graveyard the first time it is used, the Star Shard understanding that Mickey needed to be there in order to protect Ven against Vanitas. Ven and Mickey are able to fend off Vanitas until the Star Shard transports them both to Radiant Garden, where the two part ways and Mickey meets up with Aqua. The two fight to protect a young Kairi against the attempts of enemies to kidnap her, with the Star Shard kicking in once again after the child is safe, Mickey bidding farewell to Aqua and telling her not to worry about him. Mickey next finds himself in Neverland, where he is ambushed while exploring and incapacitated by Vanitas, dropping his Star Shard as he is knocked out, which is later found by Ven. 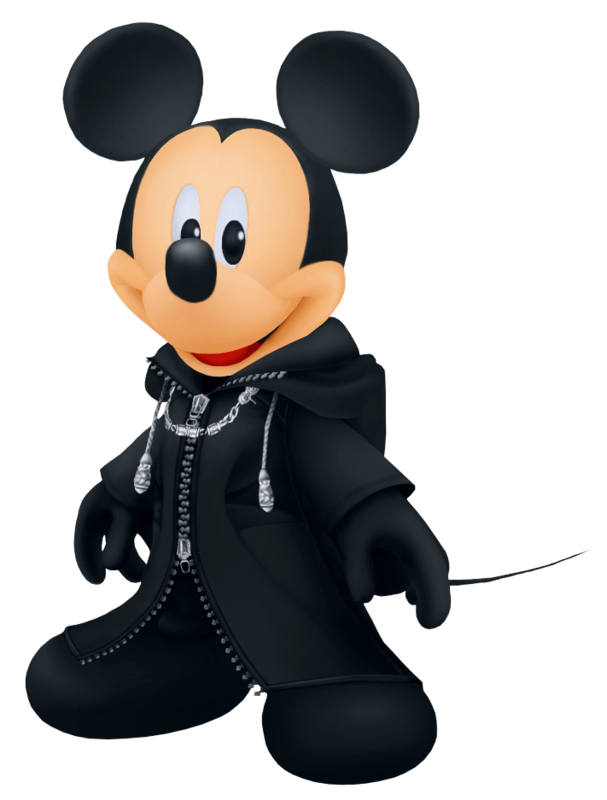 As it turns out, Mickey had been taken to the Keyblade Graveyard as a pawn to draw Ven there by Master Xehanort. The elderly Master summons a whirlwind to transport them into the Lanes Between, upon which the two are separated. Upon learning that his friends were in danger, Mickey rushes to the Keyblade Graveyard as they faced Xehanort and Vanitas. Although there was not much he could do, he gave it his all and rescued Aqua from the Vanitas-possessed Ventus' assault, and the two are able to defeat him. The explosion produced by the destruction of the χ-blade blasted them back into the familiar roads connecting the worlds, and with his Star Shard, Mickey was able to bring the three of them to safety, returning to Mysterious Tower. However, Ven would not wake, try as hard as they might. Despite even the knowledge that he may remain in sleep forever, Mickey refused to give up, and assured Aqua that he too will help forge a bond so strong that Ven will be able to follow home. And with that, Aqua and Ven departed. A dejected Mickey walked towards his Master, sadly returning the borrowed Star Seeker and Star Shard in shame. His negativity was short lived however, as Yen Sid went forth to deliver his Keyblade back to his apprentice, pride and satisfaction shown across his face. With the biggest grin he might ever make, he grasped the hilt and happily accepted the weapon. King Mickey, ruler of Disney Castle and Yen Sid's former Keyblade apprentice, long since graduated to Master level, has finally been able to return home. With the defeat of not only Xehanort's Heartless, but also the notorious Organization XIII, it seemed as though peace in the universe would finally be obtained after so many years suffering under the calamities that have plagued it. However, such a blessing would not be granted so easily. When Jiminy discovers the mysterious and haunting message ‘Their hurting will be mended when you return to end it' in his journal, the King decides to digitize it and awaken the Sora within the memories of the journal's data in order to solve the mystery. At first glance, it was a simple problem to solve: by progressing through the Datascape, they would eventually happen upon the cause of the bugs' existence, and with Sora's help, cleanse the data of its corruption. The last thing Mickey expected was to be transported into the data himself, along with Donald, Goofy, and Jiminy. Mickey and Data Riku guide Sora through the vast areas of the Datascape through the digital representations of various worlds once visited, meeting with old friends and making new bonds and memories. Unfortunately, even in a world such as this, one cannot escape his enemies as former Captain Pete, now Maleficent's right hand man, makes his presence known. Unwilling to allow Pete's exploits to take hold, Mickey sends Sora after him without a second thought. He made to Sora's aid just in time when Maleficent destroys his Keyblade and takes Riku hostage. Although he made it clear for Sora to stay behind with the others back in the castle in his defenseless state, the boy runs off anyways, searching of a way to liberate Riku and bring him back to the side of good. In order to help his friends, he was able to regain the Keyblade and dive into Riku's data to purify the corruption that plagues him. The task completed and the source of the bugs defeated, Mickey bade Sora goodbye and exited the Datascape. Once there, he receives a message from Data Riku informing him of a new world found within the purified data. He decides to return to the Datascape and reawaken Data Sora to help him explore the new world, hoping to finally solve the mystery of the message. As the two explore the world created from lost memories of Castle Oblivion, they learn what true hurting feels like, a pain that strikes into the deepest caverns of their hearts. When they make it to the final floor, they learn that the person who left the message was Naminé, who by leaving the message instilled data of herself within the journal in order to relay the information. She tells them of her rearrangement of Sora's memories, and the discovery of intense pain found in Sora's heart from memories that don't belong to him. With Mickey's aid, the two explore the pain, uncovering those who lie waiting for Sora to free them from their torment. Mickey then makes a promise to Naminé to inform the real Sora, and departs the Datascape once and for all. He would write a single letter to Sora, Riku, and Kairi, of the journey that lies ahead, of the memories that connect them to the past and the future, of the truth behind the Keyblade, and of the hurting tormented souls waiting to be healed. Mickey ventures to the home of his former teacher, Yen Sid, to inform him of what he had learned through his adventures in the Datascape. The two are able to reach conclusions regarding the whereabouts of the young Keyblade wielders they encountered ten long years ago; all that remains is Terra. However, with Terra comes Master Xehanort, and with Xehanort's Heartless and Xemnas defeated, he has been reborn. The two decide that in order to face the dangers that lie ahead, they need as many Keyblade Masters as possible, and so, the message is sent out to Destiny Islands as Sora and Riku are summoned to be judged for their Mark of Mastery. The steamboat deckhand turned Keyblade apprentice turned King of the literal castle, Mickey rules over Disney Castle justly and respectfully. He always has the best interests of his friends and companions at heart, and will do anything in order to help them out, no matter how big or small. Formerly the apprentice of Yen Sid, he often approaches his old master for advice and information, as is the case presently. Now that he's been caught up to speed with the threat of Master Xehanort's return fully realized and the knowledge of the fates of his three long-since-missing friends, Mickey had arrived at the Mysterious Tower once again, this time to oversee Sora and Riku's Mark of Mastery exam. Accompanying him are his best friends Donald and Goofy; his Court Wizard and Royal Captain of the Guard respectfully. Having gone through the exam many years before, he had good reason to be worried, especially since the two of them were being sent off to worlds where they may very well never return from with little to no guidance. As the two journey through the Sleeping Worlds, Mickey consulted with Yen Sid over the danger that approaches, when they were interrupted by Diablo, the pet raven of Maleficent, the Mistress of Evil. She and Pete had taken advantage of his absence, assaulting the castle and taking Queen Minnie hostage. He immediately rushed back with Donald and Goofy, and had no choice but to comply with Maleficent's demands to avoid letting any harm befall his queen. What she desired was, surprisingly, the data of worlds; the digitized Jiminy's journal that recorded the events of Sora's first adventure which, ironically, Maleficent had almost met her end in. Somehow, if she were able to obtain this data, it'd grant her the power to take over all worlds! Mickey couldn't let that happen, but he couldn't risk Minnie's life either, and in his stubborness, Maleficent got tired of waiting and fired a blast of her signature green flames towards them. It seemed that all was lost, until Lea rescued them by flinging his chakrams to dispel the flames and release the queen from Pete's grasp! Who would have thought? Upset by the sudden turn of events, the evil fairy and her bumbling comrade departed the castle, but no doubt they'd soon return to wreak more havoc. They were able to return to the Mysterious Tower with their new companion in tow, and both Mickey and Lea departed almost instantly to their respected destinations; Lea to undergo quickened Keyblade wielding training under the guidance of Merlin and the Three Good Fairies, and Mickey into the Sleeping Worlds to help Riku rescue Sora. He made it just in the nick of time with a well-timed Stopza, but that proved almost futile as the young Xehanort broke out of the spell's control and attacked both Mickey and Riku. As the young wielder was forced to battle Xehanort, it effectively used up all the time Stopza bought them, allowed Master Xehanort to finally appear and attempt to transform Sora into his thirteenth and final seeker! Thankfully, Lea burst into the scene to rescue the boy, and they were able to stall long enough for time to run out on the Xehanorts, forcing them to depart back to their respective times. However, they weren't safe just yet. With Sora trapped deep in the abyss, they could only watch pitifully as he slept, possibly never to awaken. With the new power Riku had obtained by traveling through the Sleeping Worlds and unlocking their keyholes, he had awakened the power to wake up sleeping hearts, and so he dove into Sora's dreams once again to bring him back to the Realm of Light. After what felt like an eternity, Sora finally opened his eyes, followed shortly by Riku. They were back. But there were still the results of the exam to be announced, and thus, Riku became the new Keyblade Master! Yen SId wasted no time in sending him out on a new mission to retrieve a special guest. Sora departed on a short trip, but what he was leaving for was a secret. Only Yen Sid, Mickey, Donald and Goofy were left. As Mickey was consulting with Yen Sid on the events that were looming over, Riku returned with the individual Yen Sid requested; the seventh Princess of Heart, Kairi. It was because of her Keyblade wielding abilities that she was brought to the tower, but just what was Mickey's former master planning? 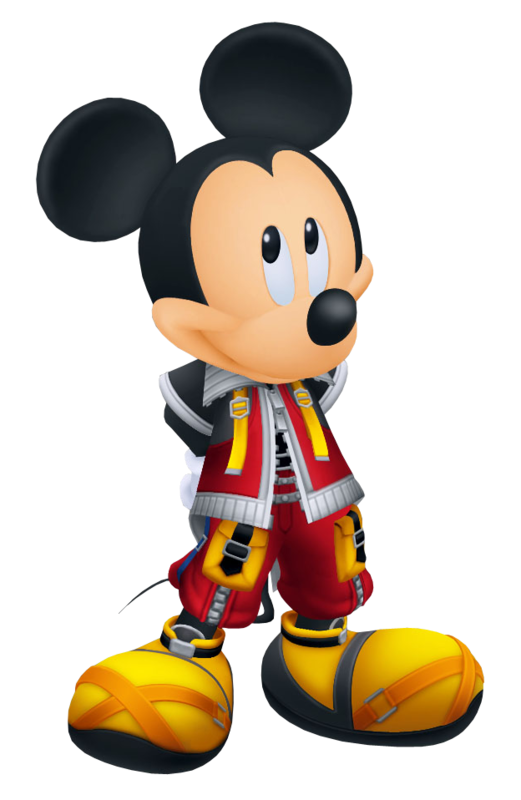 The King of Disney Castle, Mickey Mouse is one of four Keyblade Wielders who tried to stop Master Xehanort from summoning Kingdom Hearts over a decade ago. He lost three friends in that fateful battle and almost gave up being a Keyblade wielder. Yen Sid returned the Starseeker Keyblade to Mickey, giving him the faith he needs to begin his journey to find and rescue his three missing friends. He found one of his friends, Aqua, after successfully gaining entry into the Realm of Darkness. He battles alongside her through enemy territory in search of the Dark World's Kingdom Key, a key that, alongside it's Light counterpart, would be able to lock the Door to Kingdom Hearts that Ansem opened. He and Aqua find that Keyblade behind the Secret Door on Destiny Islands and were almost successful in their mission. Unfortunately a conglomeration of Heartless known as the Demon Tide took Aqua back to the Realm of Darkness where she remains trapped to this day. He was still successful in his mission to lock the Door to Kingdom Hearts, thanks to Sora and Riku's help. He traveled with Riku and appeared from time to time to help Sora out on many of his journey's. Yen Sid finally allowed Mickey to tell the story of Aqua to Riku and Kairi. The story was forbidden out of fear that someone would stage a reckless rescue attempt. Yen Sid, now confident in Riku's abilities as Keyblade Master, tasks the boy and the mouse to travel to the Realm of Darkness once more to save the lost master. Providing the two with new clothes designed by the Three Good Fairies, the King sets off with his friend to finally bring Aqua back to the Realm of Light. The King of Disney Castle and a Keyblade Master who trained under Master Yen Sid. He has aided Sora and Riku throughout their journey, and is now trying to thwart Master Xehanort and his Seekers of Darkness. After revealing the fate of Master Aqua, he is tasked with her retrieval from The Dark World. He and Riku recieve new clothes from the Three Good Fairies as protection from the Darkness, and the two set out to find her. However, they arrive too late. Aqua has been taken over by Master Xehanort and she has turned into one of his Seekers of Darkness. He and Riku retreat to the Mysterious Tower, their mission unsuccessful.